During May and June consortium members have been invited to three conferences where different parts of the SPLENDID project have been presented. 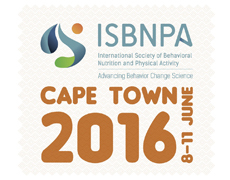 The International Society of Behavioral Nutrition and Physical Activity (ISBNPA): promotes and advocates innovative research and policy in the area of behavioral nutrition and physical activity toward the betterment of human health worldwide. During the 15th international conference in Cape Town, South Africa, Ioannis Ioakeimidis presented “Real time smart monitoring of eating patterns during main meals”, where the SPLENDID system as a whole was describe. Measuring Behavior 2016: Is an interdisciplinary conference where interventions and methods for measurement of both human and animal behavior is presented. 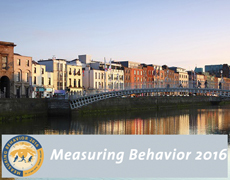 During the conference in Dublin, Ireland, Billy Langlet presented “Measuring eating behaviour in a Swedish high school”, where the methods used in the SPLENDID project to measure eating behaviour in a school setting was described. 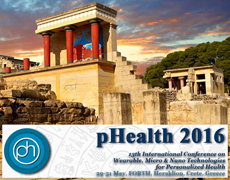 pHealth 2016: bring together experts on wearable, micro & nano technologies for personalized health. During the 13th international conference in Crete, Greece, Christos Maramis presented “A Sensor-enabled Smartphone Application to Collect Eating Behavior Data for Population Screening”, where the SPLENDID mobile application developed for the project experiments was described.